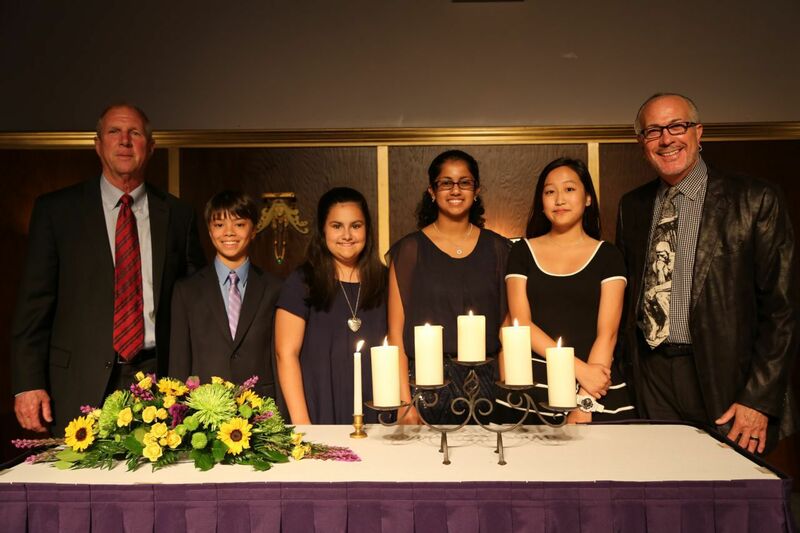 On Monday, September 15, Westminster School’s 7th and 8th grade students pledged to help make the world a better place as members of the Builders Club service organization. The Builders Club is an international, student-led organization providing members with opportunities to perform community service, build character, and develop leadership. Westminster student members learn to work together and develop service and leadership skills as they labor on behalf of their school and community. This year the Builders Club will sponsor the annual Homeless Walk-A-Thon, Mr. Turkey Drive, and the holiday gift card program. Additionally, our students will participate in many other service projects throughout Northern Virginia. In the highly anticipated annual tradition, Mr. Glover closed the program by announcing the upper-school plays for the 2014-2015 school year: Romeo and Juliet (7th grade) and The Sound of Music (8th grade). "I pledge on my honor to uphold the objects of Builders Club: to better my school, my community, my nation, and myself; to aid those in need while enhancing leadership capabilities;, and to encourage the fellowship of all mankind."